The Harbour is of national and international importance for landscape and nature conservation and as such has a number of designations applied to it. This is the land surrounding and including the Harbour, as defined in the Chichester Harbour Conservancy Act 1971. The Conservancy have the duty to maintain and improve this area for recreation, leisure, nature conservation and natural beauty. The landscape of the Harbour was formally recognised as being of national importance in 1964 when it was designated an AONB. There are 46 AONBs in England and Wales (33 wholly in England, 4 wholly in Wales and 1 which straddles the border and 8 in Northern Ireland). Created by the legislation of the National Parks and Access to the Countryside Act of 1949, AONBs represent 18% of our finest countryside. Natural England is responsible for designating AONBs and advising Government and others on how they should be protected and managed. A review is published each year detailing work carried out in the AONB, see the Management Plan page for more information. 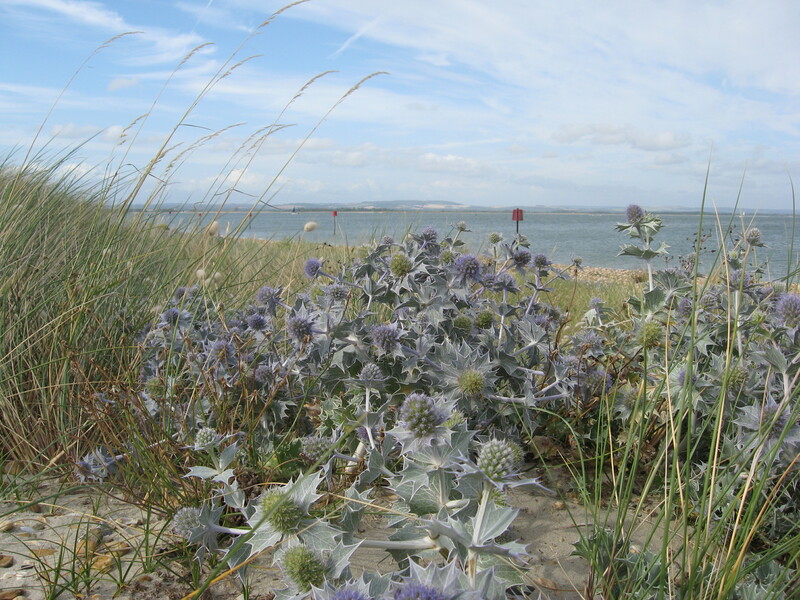 In 1995, much of the Solent's Coastline was identified as a possible Special Area of Conservation (SAC) under the EU Habitats Directive. The Solent was proposed for its cordgrass swards (Spartinion maritimae), Atlantic salt meadows (Glauco-Pucinellietalia maritimae) and estuaries. For cordgrass swards, the Solent is one of two significant locations in the UK for this habitat and is unique in having all four species of Spartina. 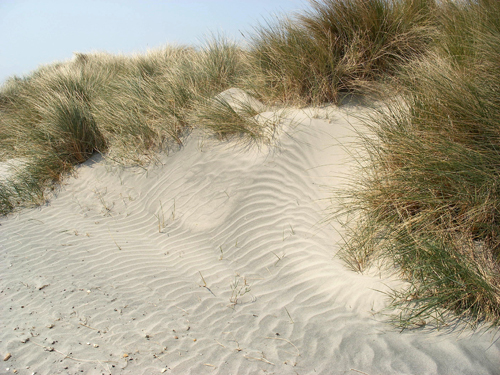 It is also considered to be one of the best locations in the UK for Atlantic salt meadows and estuaries. The estuaries for which the Solent supports Annex I habitat types, which are sustainable in terms of structure and function, include: Yar Estuary, Newtown Harbour, Beaulieu Estuary, Hamble Estuary, Chichester Harbour, Langstone Harbour, Medina Estuary and Kings Quay Shore. 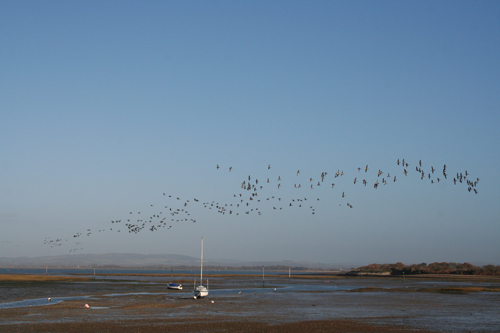 There are various local nature reserves within the AONB, including Nutbourne Marshes, Pilsey Island and Thorney Deeps. Designated under the International Convention on Wetlands of International Importance especially as Waterfowl Habitat (the Ramsar Convention). Special Protection Area (SPA) is a European Union designation given to top wildlife sites. Sites of Special Scientific Interest (SSSI) represent the UK's best sites for wildlife and geology. Well over half, by area, are internationally important and many play an important part in local culture and economies or provide wonderful opportunities for people to enjoy wildlife and landscape. The national wildlife and geological features of SSSIs are irreplaceable parts of the national heritage. Sites of Special Scientific Interest are notified throughout Great Britain. However, Natural England is responsible for identifying and protecting these sites in England. They achieve this primarily in partnership with SSSI owners and managers, and as a result the majority are in good condition and well managed. Notification as an SSSI is primarily a legal mechanism to protect sites that are of particular conservation interest because of the wildlife they support, or because of the geological features that are found there. SSSIs can be found all over England, and together with those in Scotland and Wales, they form a national network of areas with the greatest value to wildlife or geological conservation.